When Hurricane Irma swept through the northern Leeward Islands on Wednesday, it left a massive amount of destruction in its wake. 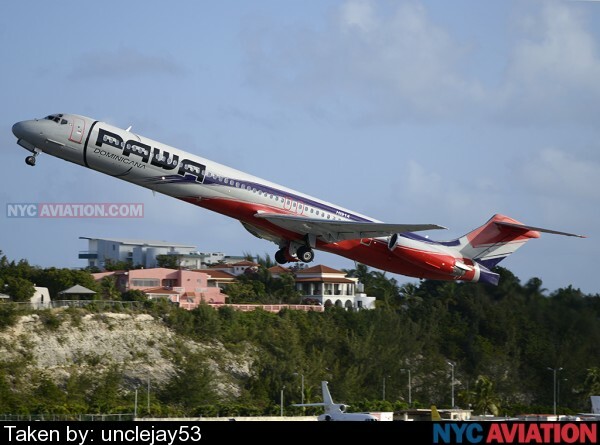 In the following days, few areas have received more attention to the devastation caused than the areas near Princess Juliana International Airport (SXM) in St. Maarten. large quantities of sand from both Maho and Simpson bays were blown or washed onto the runway and apron. One jetbridge had its cab torn completely free. 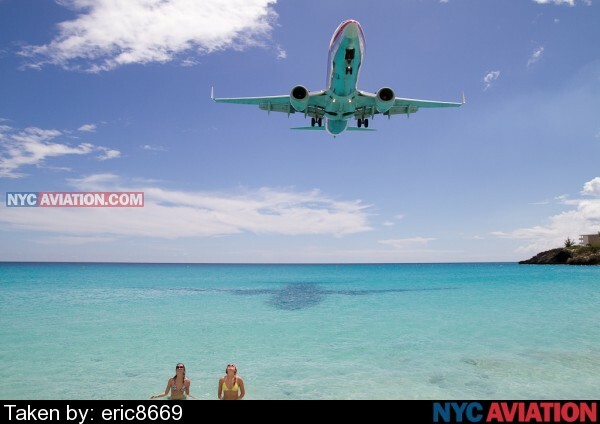 Maho Beach was left mostly devoid of sand. Nearby hotels had large sections of their facade ripped off. 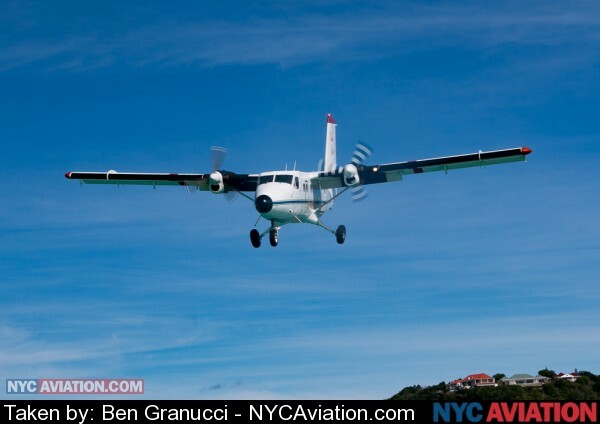 20 miles to the southeast, much less has been heard about the smaller island of St. Barthelemy. The already short 2,100 foot runway at Gustaf III Airport (SBH) flooded but otherwise seems to be in serviceable condition. Cleanup and reconstruction there will be a huge challenge for each of these islands and their airports. However, it is a safe bet that these areas will rebuild, and it will likely occur far more quickly than any of us could imagine while looking at the horrifying photos. 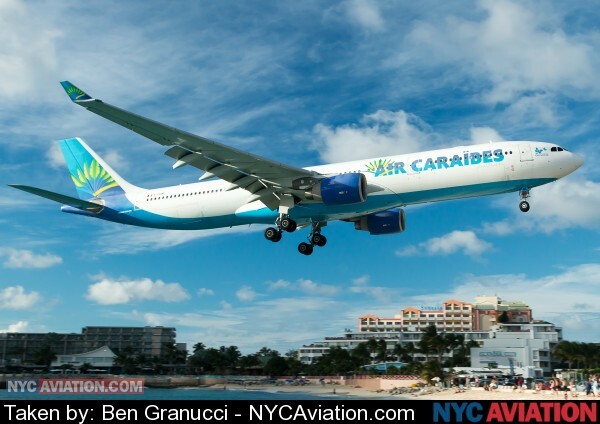 Airports are as lifeline to these islands, and tourism is their lifeblood. 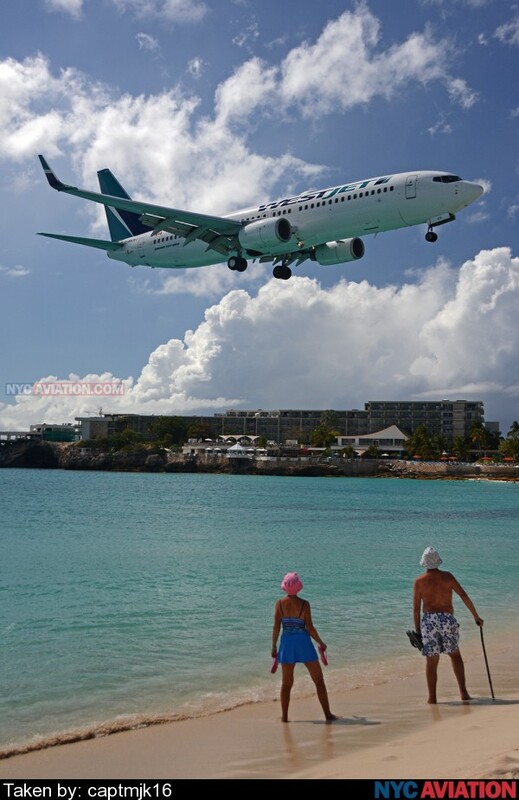 Already the runways at both SXM and SBH have been made usable. 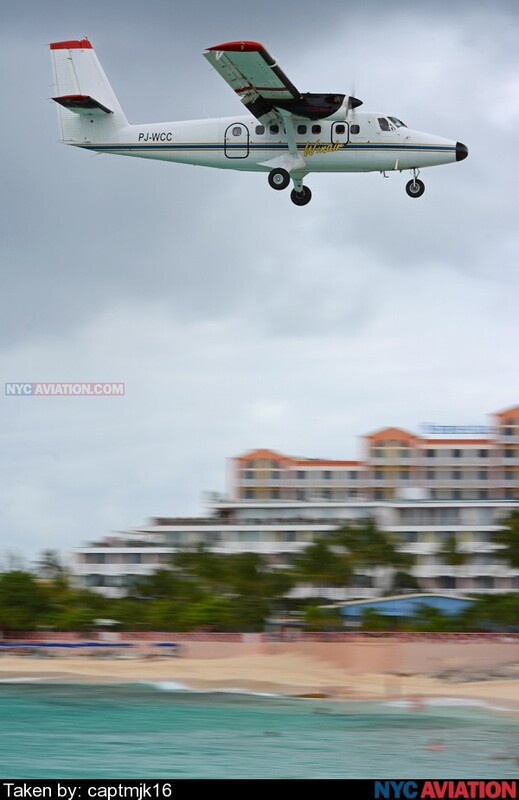 This morning, a Dutch Caribbean Coast Guard DHC-8 became the first aircraft to land at SXM since the storm. That airport is now open for daytime operations by military aircraft. 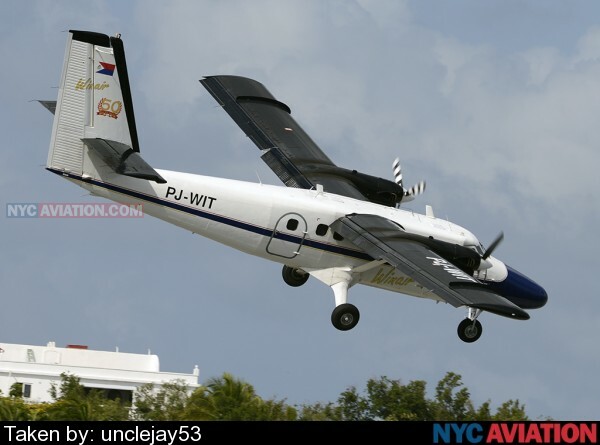 Reports are that Air Antilles will fly 3 relief flights to SBH today. 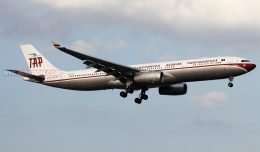 The governments of both France and the Netherlands have already sent military aircraft to the region. The cleanup has begun and the reconstruction will soon follow, though there are still many significant hurdles. Thought the islands will recover, it is virtually guaranteed that they will never look the same as they did a week ago. 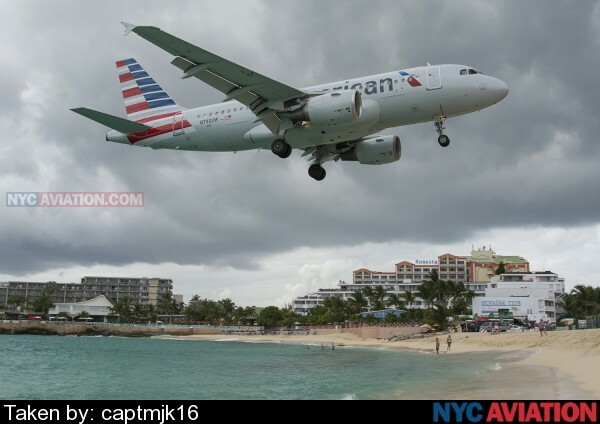 There will be changes to the familiar skyline on Maho Beach, though that will become just part of the evolution of that area. For now, let us take a look back at how things were until a few days ago. And in the process, let us take a look forward at what will soon return in a similar and yet forever changed way. 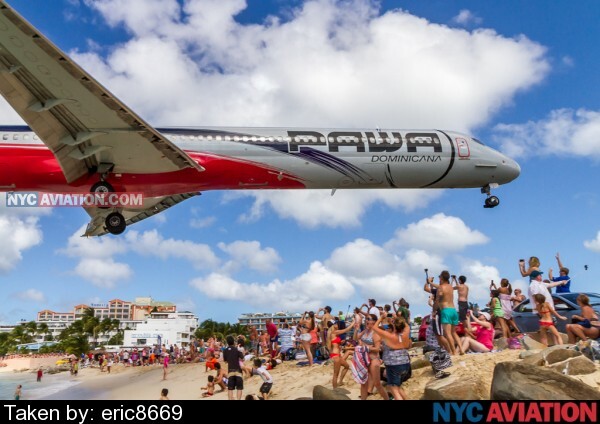 Maho Beach is one of the few places on earth where everyone who visits is an AvGeek, if only for a few hours. When a jet arrives, everybody looks up. 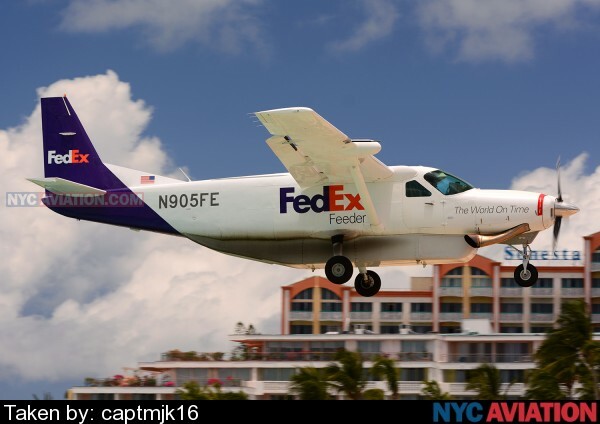 While jets get most of the glory in St. Maarten, it’s the DeHavilland Twin Otters and Cessna Caravans that operate a majority of the flights in and out of SXM as they provide a vital link between neighboring islands. 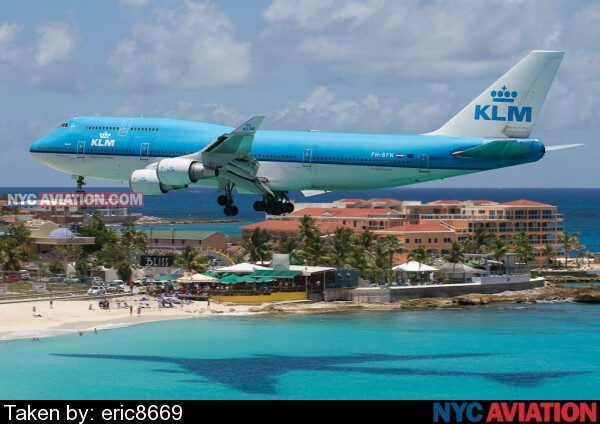 The icon of St. Maarten, the KLM 747-400, as it makes its final approach to SXM while casting its shadow into Maho Bay. 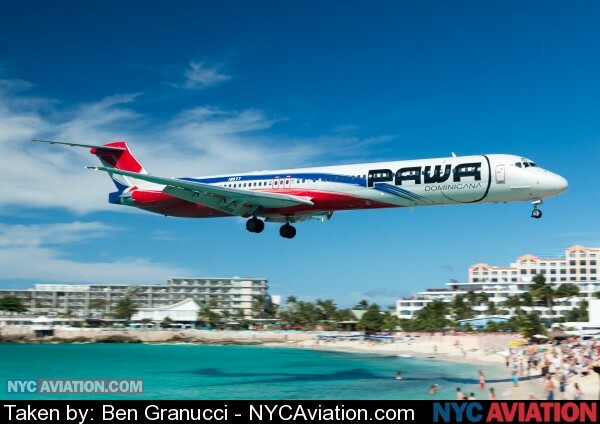 PAWA Dominicana has a bit of a reputation in St. Maarten for landing low over Maho Beach. 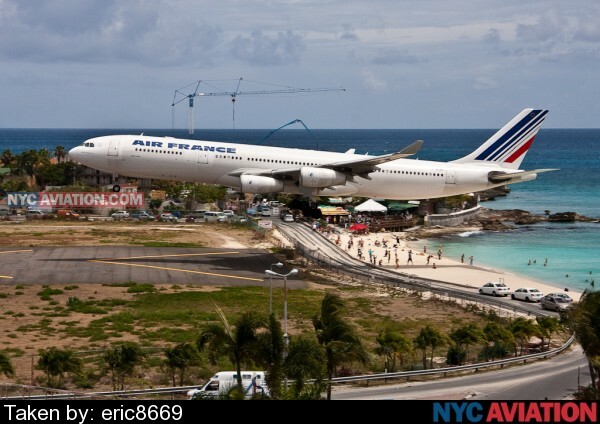 The daily Air France A340-300 is now the largest regular visitor to SXM. 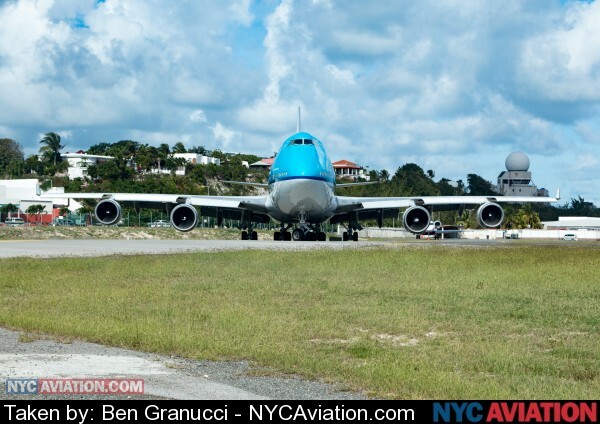 The KLM 747s flying into SXM may be iconic, but they weren’t the only 747s to serve the airport. 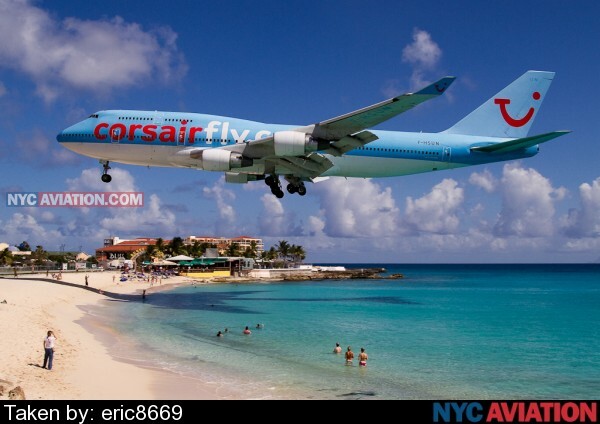 Corsair, part of TUI Group, did too once upon a time. 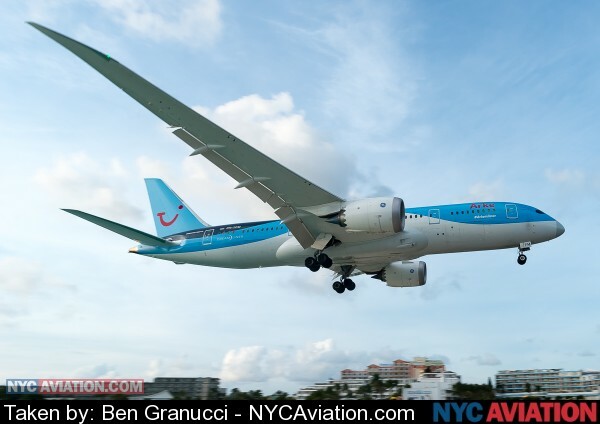 Today, it is TUI fly Netherlands (dressed in the old Arkefly titles) that operates flights from Amsterdam for TUI Group. 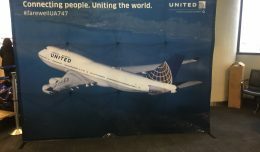 The venerable 747-400 has been replaced by the newer 787-8. 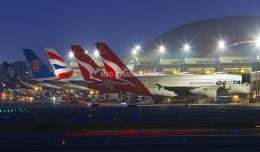 One of only 2 photos from SBH in the Hangar. 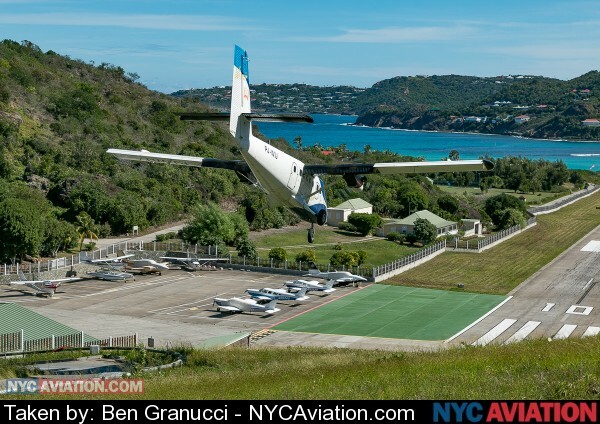 Many of the arrivals there fly down a hillside before landing on the runway at the bottom. 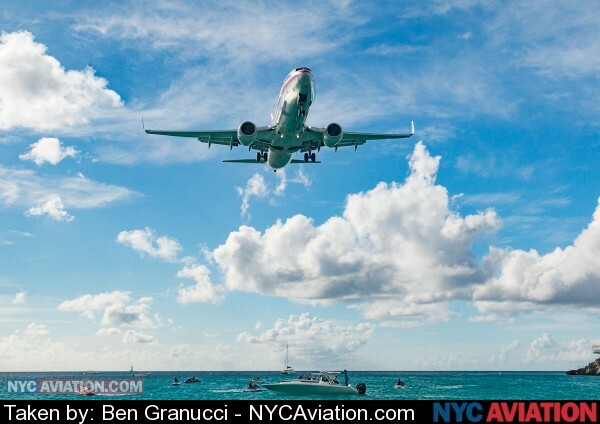 It’s a true avgeek experience flying that approach. Other arrivals at Gustaf III Airport arrive over the bay. Of course all flights depart over the water. 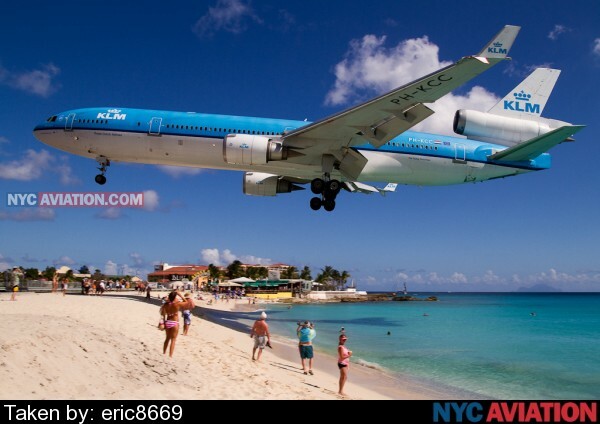 KLM is probably best known for their 747 flights to SXM. 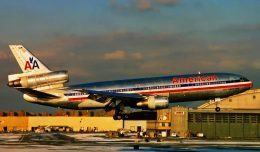 Once upon a time though, they flew the MD-11 there. 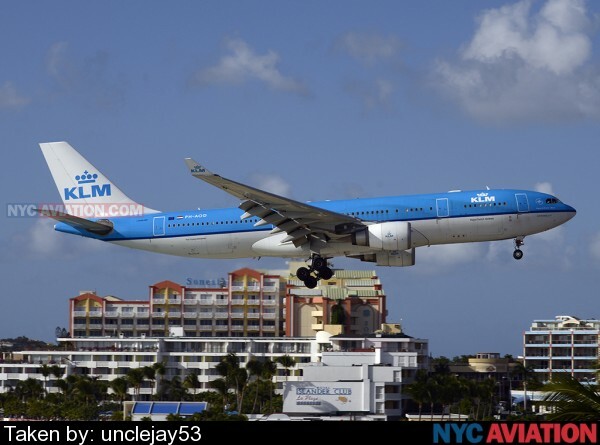 Almost a year ago, KLM replaced their 747 flights with an A330, much to the dismay of plane spotters. That’s all for this trip down memory lane. 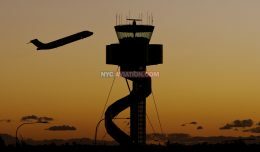 Get out there and spot some planes, and make sure you upload your best photos to the NYCA Photo Hangar.